Could We Use the Former Studio System Today to Create Jobs? 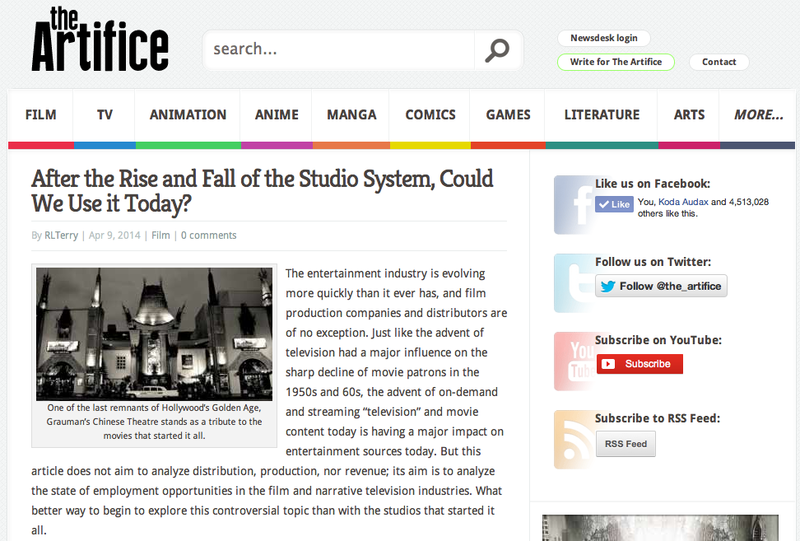 Check out this article I recently had published on “The Artifice.” It talks about one hypothesis that by bringing back some semblance of the former Studio System, the entertainment industry could create more jobs. Click HERE!